The dramatic landscapes of Portas de Rodão lie just two hours from Lisbon and harbor an incredible variety of bird life. 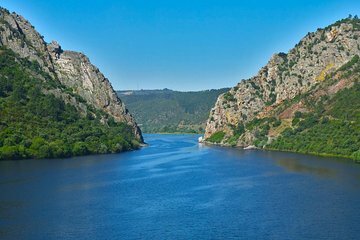 On this tour, set sail along the Tagus river, admire the unique geology of Portas de Rodão, and look out for rare birds like black stork, eagle owl, and African griffin. A traditional Portuguese lunch is also served on-board, accompanied by fine regional wines.